Cendecon offers Lake Isabella Crime Scene Cleanup services 24-hours a day. You can reach us at (877) 800-8110. Cleanup, Decomposition Cleanup, Unattended Death, Undiscovered Death, Trauma Cleanup, Accident Cleanup, Blood Cleanup, Tear Gas Cleanup and Crime Scene Cleanup. We also specialize in Hoarding Cleanup, Gross Filth Cleanup, Animal Hoarding Cleanup and Extreme Hoarding Cleanup. 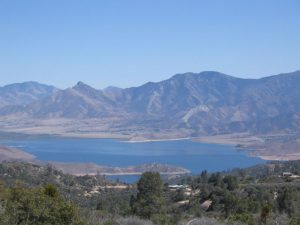 We Are licensed, insured and bonded in Lake Isabella, CA. Our vehicles are unmarked and our staff is very respectful, professional and discreet. You can trust that any work performed at your property will be done by some of the most experienced technicians in the industry. Lake Isabella is a relatively small town and in our experience, when something happens, it seems the town knows about it. Cendecon has done a number of After Death Clean Up jobs in Lake Isabella and we have been approached by a number of the residents thanking us for our work. We have helped more than a dozen families just in Lake Isabella with difficult cleanups, such as suicide, decomposition and hoarding cleanup. If you should ever find yourself or know of someone in need of our Crime Scene Cleanup Services, please don’t hesitate to call. Our estimate are free, we are able to work with your insurance company on any type of death cleanup; suicide, homicide, decomposition etc. When insurance is not an option we have affordable prices and we are even able to work out payment arrangements. Cendecon is a family owned and run business and we live by the golden rule of treating others how we’d like to be treated, therefore we will answer all your questions, we will answer them honestly and when we give you a written estimate we will honor the price even if the job takes longer than we anticipated. We also guarantee all of our work and we provide biohazard clearance certificates for any jobs we do involving blood cleanup or body fluids cleanup. Call us today to ask questions and/or schedule a cleanup (877) 800-8110. For more info on Lake Isabella check out wiki.